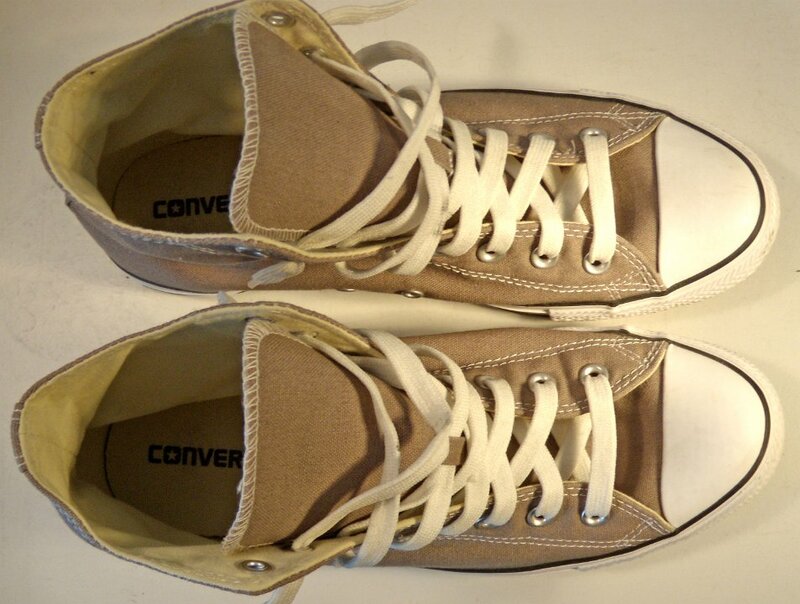 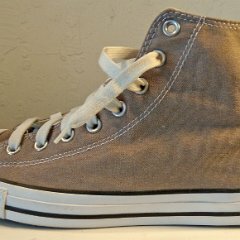 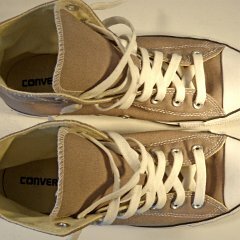 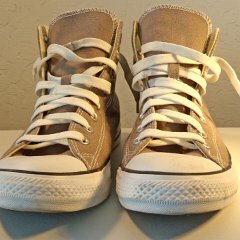 Photo gallery of a pair of light grey high top chucks size 10, that are for sale. 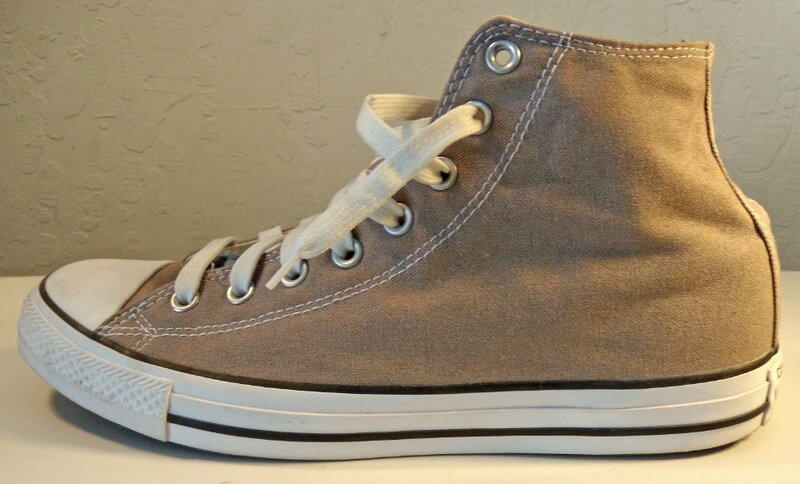 1 Light Grey High Top Chucks Inside patch view of the right high top. 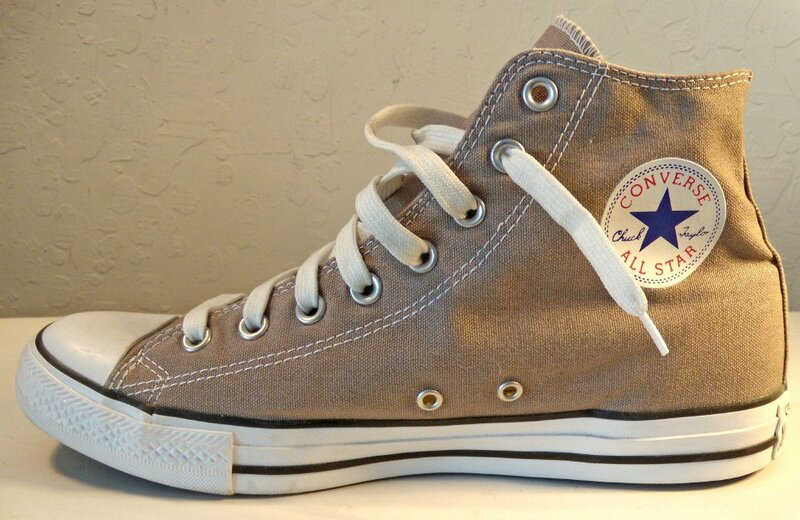 2 Light Grey High Top Chucks Outside view of the right high top. 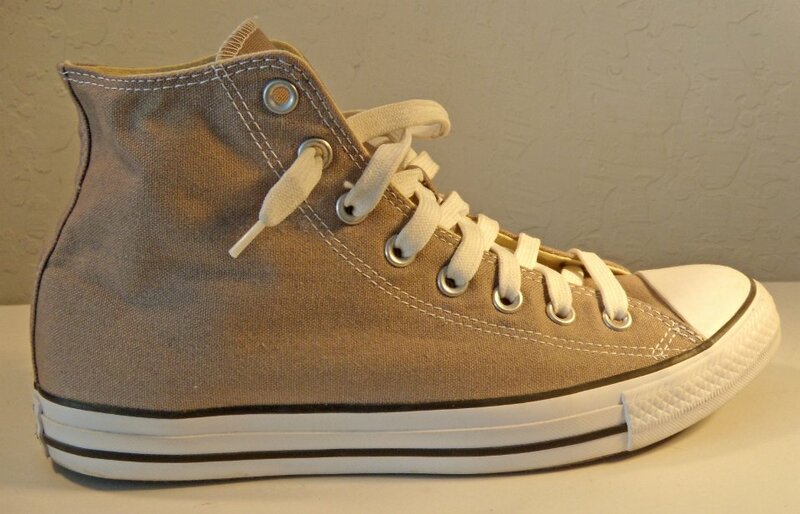 3 Light Grey High Top Chucks Inside patch view of the left high top. 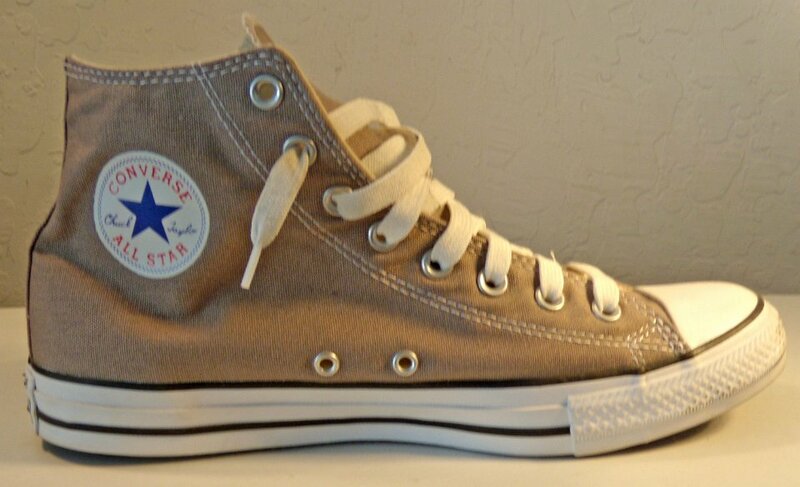 4 Light Grey High Top Chucks Outside view of the left high top. 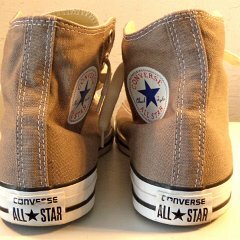 5 Light Grey High Top Chucks Rear view of the high tops. 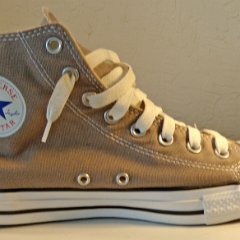 6 Light Grey High Top Chucks Front view of the high tops. 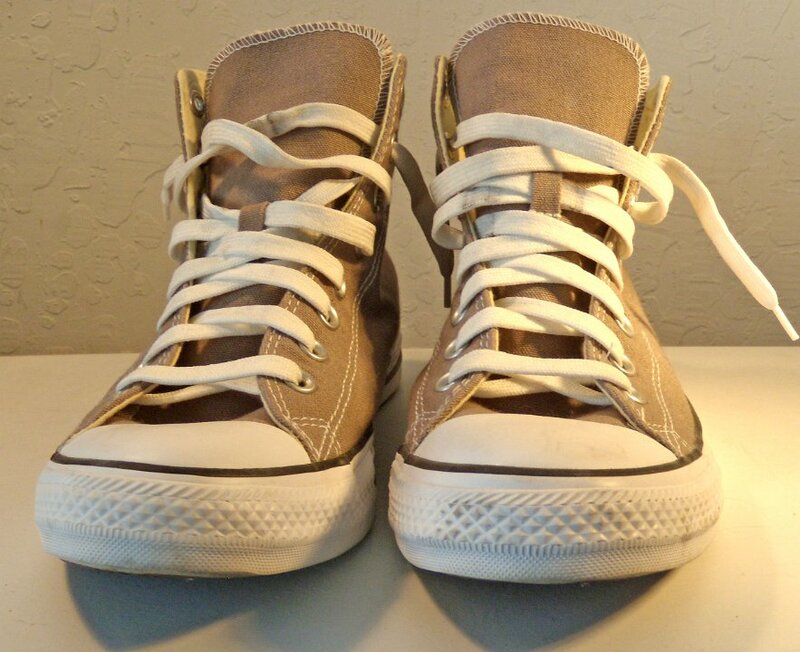 7 Light Grey High Top Chucks Top view of the high tops. 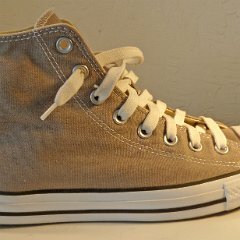 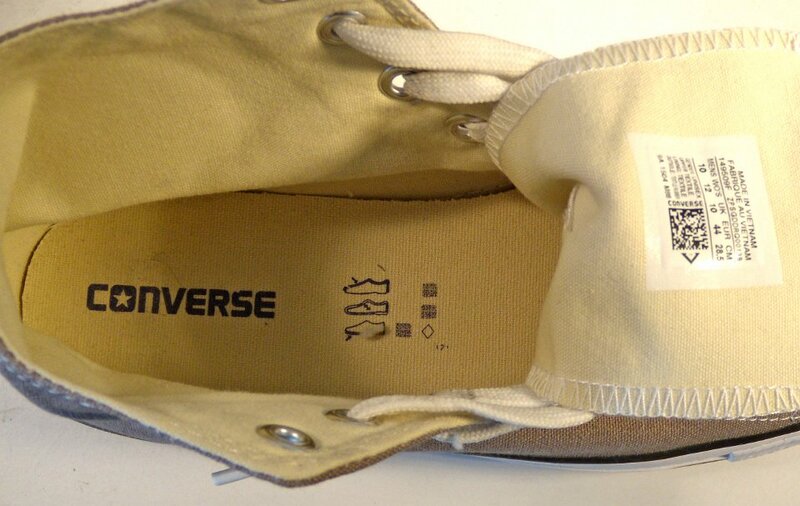 8 Light Grey High Top Chucks Insole closeup view. 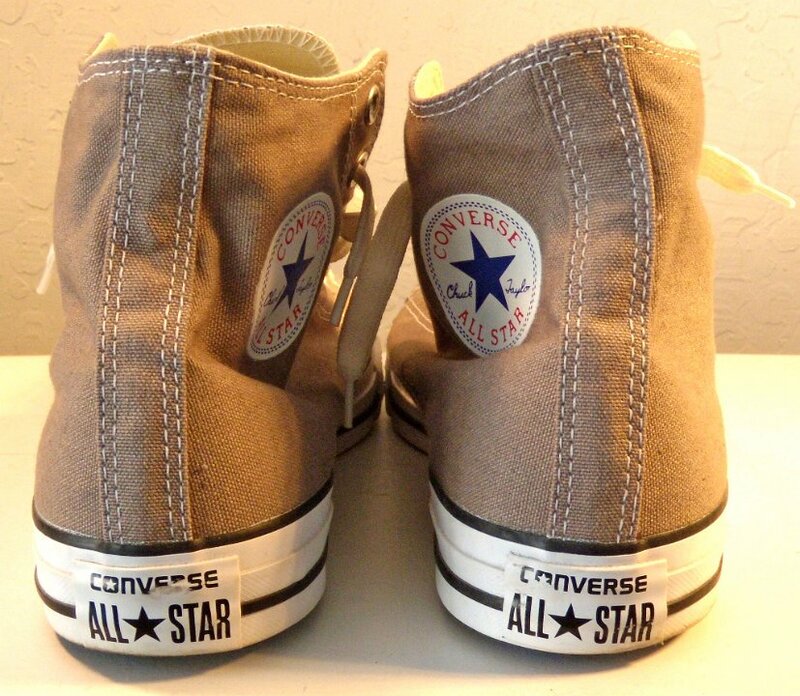 9 Light Grey High Top Chucks Outer sole views. 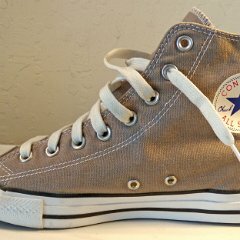 This is a pair of light grey high top chucks, size 10, for sale. 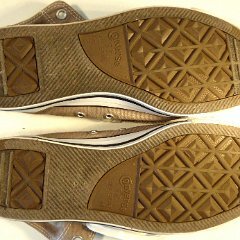 These shoes are like new, with no flaws and minimal wear. 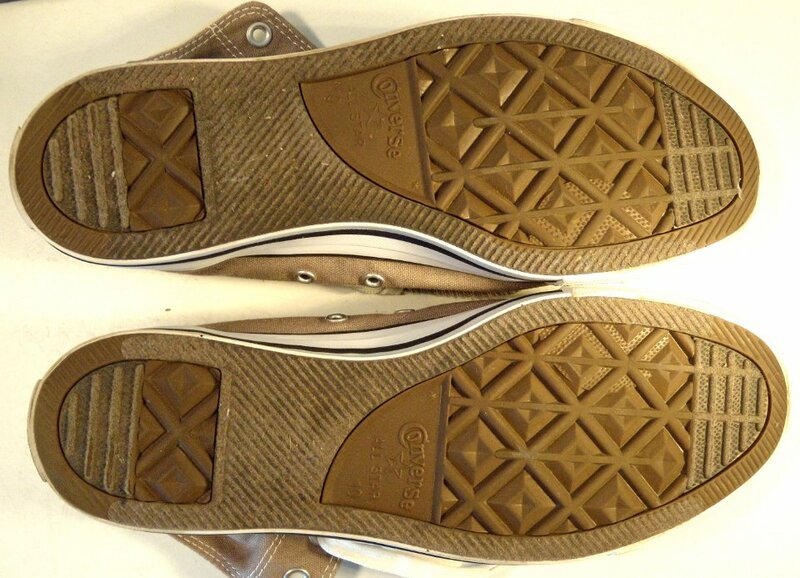 The shoes have black racing stripes, standard Chuck Taylor signature ankle patches, and black and white heel patches. 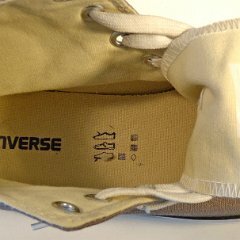 They have the standard off white inner soles and inner canvas.